Providing you the best range of laser cutting service jali and precision fabrication works with effective & timely delivery. We are offering a large collection of Aluminum Laser Cutting Service. Our highly skilled professionals offer the laser cutting work on well-defined parameters. Addition to this, our services are reliable and flexible, close coordination with clients, quick service, and as per the modern industry norms. With the high support of professionals, we are providing Precision Fabrication Works to our customers. 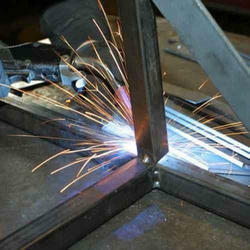 These fabrication work services are rendered with the following industry standards. Together with this, offered services are executed by knowledgeable persons. Looking for Aluminum Welded products ?